If you are looking for an operating manual for the human mind—this book is it. The understanding outlined in this book sheds light on the human dimension, revealing how the mind actually works. Although simple in its foundation, this understanding can significantly change you – from the inside→out. Have you ever wondered why your miraculous and brilliantly designed human mind fails to live up to its potential? The authors take you behind the scenes to uncover three simple principles they call insight principles that explain how the mind works. These principles are not new principles to learn and live by. They are guides to the power of resources living inside you. You will not find techniques, advice, or anything to do in this book. How refreshing! It wasn’t until the principles of aeronautics were understood that we could finally fly. Humanity did not invent aeronautical principles anymore than we invented gravity. These principles were at work invisibly predicting the outcome of our early failed attempts to fly. Invisible Power reveals the inner mechanisms responsible for your moment-to-moment feelings and experience of life – mechanisms responsible for the very reality you perceive. Once you understand how your mind works, you can better utilize its brilliance. You can, metaphorically, begin to fly. After they lay out the core understanding, the authors Ken Manning, Robin Charbit, and Sandra Krot turn their attention to the understanding’s astounding implications and relevance in business. Bolstered by decades of experience as business leaders, entrepreneurs, and relationship experts, they paint a surprisingly practical and hopeful picture, illustrating it with dozens of relatable client stories. Not only will you see how to have a more enjoyable, innovative, and productive work life, you will unleash the potential you have always had as a human being. You will be ready to create your next level of success. If you would like to lead a well-organized professional and personal life, this book is a must-read. I didn’t realize how much of my mind and brain I was leaving out of my daily life. I learned a lot from these principles. They helped me understand the power I have to shape my world from within and to decide how open and creative I can be. Sharing these principles with thousands of people in our company improved our performance so dramatically that we shattered our commitments and objectives year after year. The more deeply our workforce understood and moved in the direction of what the authors are pointing to, the more resilient and successful we became. This understanding became our single most important competitive advantage and a primary factor in our success. Ken, Robin, and Sandy have done a wonderful job capturing the power and the elegant simplicity of these principles and, in doing so, have done the world an enormous favor. Read this book. Absorb its message. Let it lead you to your own insights and help you to unleash the power of the principles for yourself. 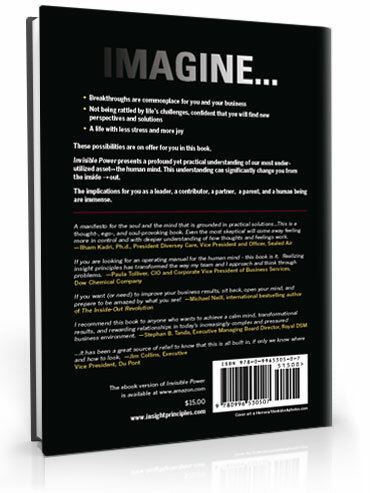 This book may help transform your business … and it may just change your life. The insights shared in this book helped me and my team better trust the innate wisdom in ourselves and in each other. Our relationships and business processes became more pure and our results greatly improved. Thanks to Ken, Robin, and Sandy for having refreshed and inspired me in such a meaningful way. I’m recommending it to everyone. By realizing how the mind works, I am able to spend much more time in a balanced state, allowing deeper capacities to be more fully on line. I am quicker to engage in clearing hurdles as they arise. I have more capacity to get work done with less effort, solve complex issues quickly, hear what is being said more deeply, and be more alert and connected with others. Overall, it has been a great source of relief to know that this is all built in, if only we know where and how to look. This book will change the way you think about the world, about yourself, and about other people. It is about who we are as human beings, how we think, and how we access the resources to solve seemingly intractable problems by tapping our innate intelligence. If we absorb its insights, this book teaches us to think with our entire souls, makes us better and more authentic leaders, and enables us to generate profound, concrete business results. 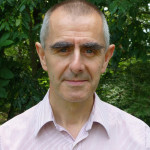 I was introduced to insight principles more than a decade ago. As a result, I have witnessed tremendous transformations in individuals and teams in my organization, leading to much higher effectiveness and business performance. The principles have greatly impacted me both professionally and privately. This book now makes these principles available to a much broader audience. I recommend it to anyone who wants to achieve a calm mind, transformational results, and rewarding relationships in today’s increasingly complex and pressured business environment. An understanding of insight principles has helped our people to become better leaders, team players, and individuals, which significantly benefited our business results. We also saw improvement in our work environment and culture and these benefits spilled over to our personal lives. We came to realize that being present in the moment and being aware of our state of mind are two critical elements of effective leadership. What a profound impact this has had on the way our leaders serve their teams. Invisible Power contains the knowledge you need to get these results and more. You should read it. If you are looking for an operating manual for the human mind—this book is it. Realizing insight principles has transformed the way my team and I approach and think through problems. We get to clarity quicker, expediting decision making and optimizing the results. My work with this understanding has had considerable impact for me personally and for my teams. The biggest benefit for me personally has been the deep insights that have helped me get my own state of mind and inner wisdom in order. This has helped to drive and inspire my people and the organization and helped to achieve the organization’s hard objectives. I realized that sometimes our thoughts got in the way of good business performance and effective communication, individually and as a team. My leadership team and I were able to create a step change in mindset and profitability. I would strongly recommend that every team looking for a step change in measurable organizational deliverables read this book and take a close look at insight principles. A manifesto for the soul and the mind that is grounded in practical solutions which address our most pressing concerns and dilemmas. This is a thought-, ego-, and soul-provoking book. Even the most skeptical will come away feeling more in control and with deeper understanding of how thoughts and feelings work. Since reading the book I feel I am a better leader, a better mum, a better wife, and I’m better able to navigate emotionally ambiguous decision making. This book is one of the top ten business books in my library and number one in its category. It’s insightful, universal, authentic, practical, and funny. You’ve got to read it! Coming from the field of design in a high-tech company, the understanding of insight principles has helped me both navigate the halls of corporate decision making and allowed me to insightfully serve my customer in this rapidly changing technology world. On a personal level, I have seen growth in my clarity, sense of purpose, and skills as a leader. My team of highly creative and talented individuals, who were already performing at the top of their game, have also benefitted from this understanding, taking their contribution to an even higher level. This book is a must for teams who want to excel. Feel like a victim of the hi-tech, 24/7 world of demands and expectations from others? Feel like your head is about to burst from all the things that you have to do? The good news is that you can have a highly productive and rewarding professional and personal life, if you understand some very simple things about how your mind works. Insight principles are very simple, and once understood, transform your ability to solve complex problems quickly and be more connected to the people who make up your life. This book is a must-read if you want to bring high performance and sustainability to your life. This excellent book is a wonderfully simple and powerful introduction to the principles. Each chapter builds on its predecessor to give the reader an ever-deeper appreciation of the “invisible power” that is innate to us all. In using everyday examples from their own lives, the ordinariness of the authors and the universal nature of these principles shine through. As the authors point out, there is nothing for you to do to benefit from these principles. They are always at work; the important thing is to look in this direction. It turns out that happiness and peace is our birthright. Highly recommended! This book is not just another business “how-to” book. It is both practical and far reaching in scope. It gets to the heart of the filter through which we all experience life—from the inside out—and calls into question the notion that there can ever be an “objective truth” to the human experience. I highly recommend this book for anyone looking to evolve their philosophy and gain a deeper level of enjoyment and success in both their personal and professional lives. 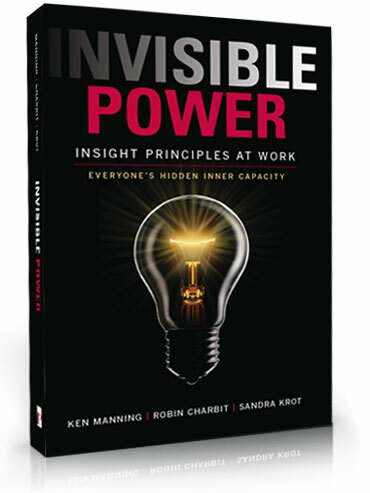 In Invisible Power, Ken Manning, Robin Charbit, and Sandra Krot offer a uniquely new and extremely potent way of understanding and tapping into the hidden forces which shape our points of view, communication, and decision making. If you want (or need) to improve your business results, sit back, open your mind, and prepare to be amazed by what you see! I found Invisible Power very insightful. It’s profound and practical, clearly laid out and easy to read. There is a depth to every chapter and the book highlights very well the incredible insights of Sydney Banks. A must-read! I love Invisible Power. Its simplicity and clarity had me popping with insights, and its down-to-earth accessibility means I’ll be recommending it to all my clients. The logic in this book is 180 degrees from mainstream thinking. Yet, the logic is refreshingly clear and compelling. There is no doubt in my mind that readers who grasp this logic will see their personal and professional game go to a higher level. This book describes a new understanding of the power and limitless potential of the human mind. It reveals the very essence of business success and the role each person can play in creating a workplace that is thriving. The book is presented in a clear, accessible, and heartfelt way. I wholeheartedly recommend this to anyone interested in greater job satisfaction and productivity, ease in relationships, and higher levels of personal well-being. Invisible Power brings the invisible principles of human experience to the visible level in a most profound, practical, and conversational style. There are thousands of business books that have helped people improve their businesses, their management, and their leadership. This book stands out as unique and with more depth, by pointing to the invisible force behind how everything works. By going “behind the curtain” of how our psychological world works, the authors have revealed the simple secret to success, happiness, productivity, and making a real difference in the world of work and beyond. I will highly recommend it to all my consulting clients. Robin Charbit holds a degree in Chemical Engineering and started his career at Exxon rising quickly through the management ranks before he made the switch to consulting. Robin’s scientific mind and decades of business experience appeal to the leader who likes to get things done, needs help on the people side but avoids the touchy-feely. 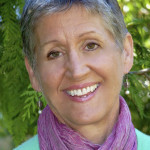 Sandra Krot spent 30 years as a relationship counselor before she discovered a talent for coaching business leaders. Her informed perspective and straight-forward style are valued by her clients because she can deftly and warmly help them get past their egos and find the gold of their own wisdom and strength. 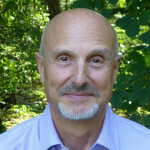 Ken Manning is an entrepreneur and Ph.D. psychologist whose intuitive understanding of the human dimension and gift as a communicator have enabled him to illuminate what is hard to put into words for anyone in today’s world of business.